Under Construction. New Construction. OPENING FEBRUARY 2019. CERTIFICATE OF OCCUPANCY HAS BEEN ISSUED. Financing Available. World class management on site with strong rental revenue history in other local properties. Oceana West is located directly on the beautiful Gulf of Mexico! Condo-Hotel with a South Beach influence but on the family friendly, & laid back beach of Treasure Island. Similar BEACHFRONT units on the island bring in $85K per year in revenue. Located on the sugar sands of the Gulf of Mexico with a sister property across the street on the Bay. The Beachfront building has a roof top sundeck, swimming pool & whirl pool spa. The bayside complex will have boat docks, fishing, swimming pool & spa. Sold fully furnished with all appliances & washer/dryer. Granite counter-tops & stainless steel kitchen appliances. Turn-Key opportunity. Beachfront balcony access will be from the living room & on-suite master. Pinellas tourism is at an all time high with record breaking numbers year over year. 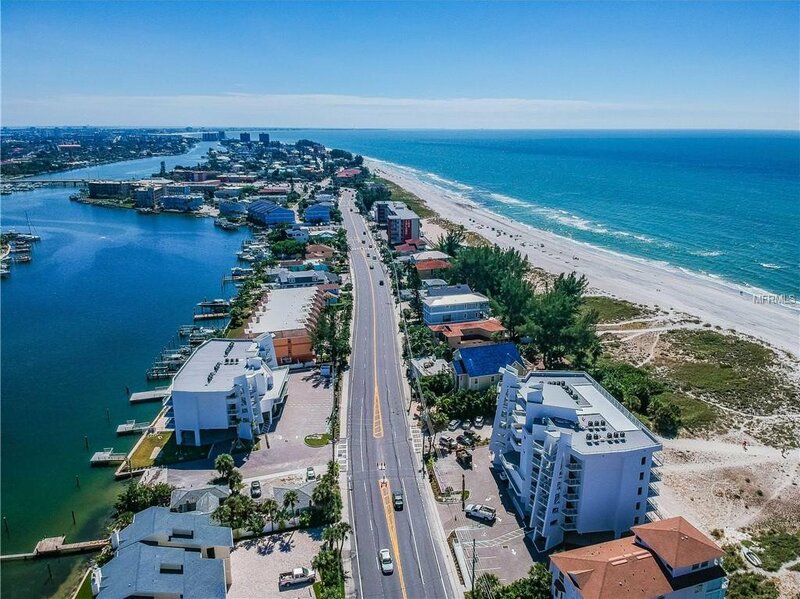 15 miles from the St. Pete-Clearwater airport & 25 miles from Tampa International. Walking distance to Publix & Caddy's Beach Restaurant/Bar. Close to world famous John's Pass Village a very popular destination that has shopping, dining, fishing, dolphin watching, entertainment etc. Busch Gardens is 37 miles away & the theme parks of Orlando are 99 miles away. View IRS Publication 527 to review vacation rental property tax benefits. Listing courtesy of Century 21 Jim White & Assoc. Selling Office: NORTHSTAR REALTY.